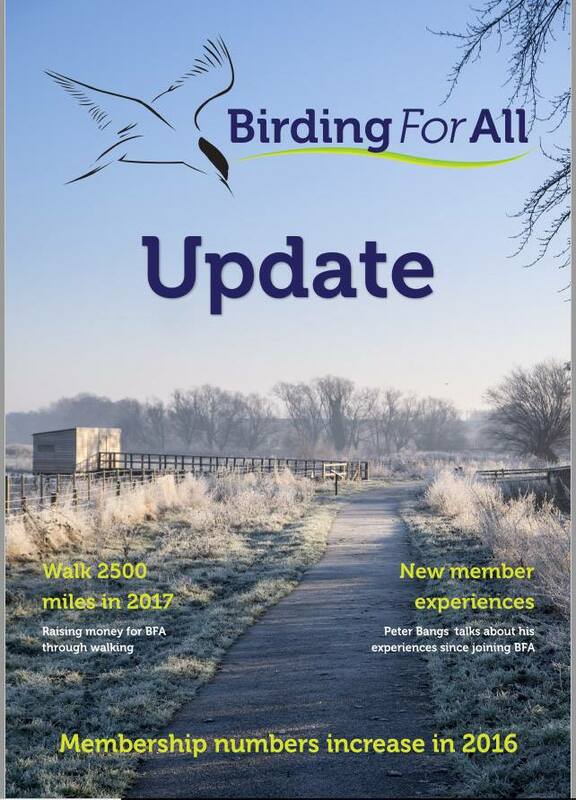 ‘UPDATE’ is the newsletter of Birding For All – you can view each one on line as a fully printable PDF (please feel free to print if you would prefer). UPDATE is issued once a year to coincide with the British Bird Fair and is put together by the officers of the Charity. Why not let the world know about your barrier-free birding! We would be really happy if our members would like to contribute pictures, articles, news items etc. for the news letter, please get in touch if you think there is something you can offer. If we get more than needed for a single newsletter we can add special editions on line at will.